You may keep a bottle of Pine-Sol in your cleaning cupboard to help you keep a clean and germ-free home. Pine-Sol is also an effective laundry booster, working on heavy stains and helping to deodorize clothing in the wash. Using this product to disinfect your home laundry can be done easily, inexpensively and without damaging your clothes, bed linens or other household fabrics. 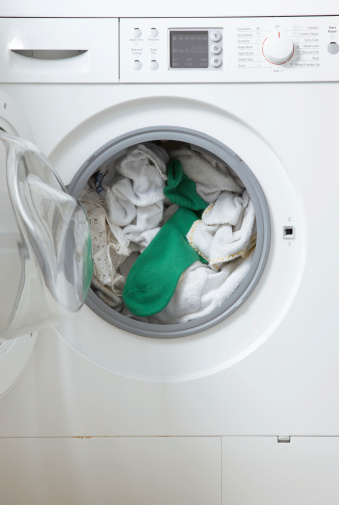 Adding Pine-Sol to the laundry can boost washing power. Pretreat difficult stains with Pine-Sol before washing. Pour a small amount of Pine-Sol directly onto a stain and rub the Pine-Sol into the fabric gently. Allow the Pine-Sol to sit on the fabric for about 10 minutes. Place the laundry into the washing machine. Set the water temperature as recommended for the clothing items and choose the wash setting you desire. Add an appropriate amount of laundry detergent to the washing machine. Add 1/2 cup Pine-Sol to the washing machine. 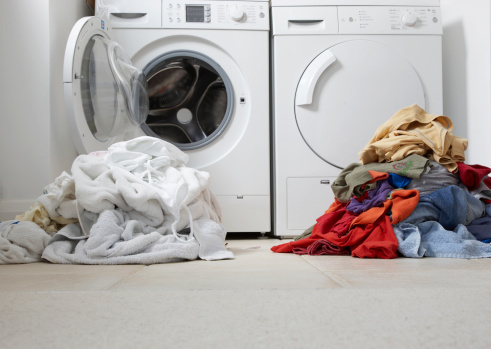 Start the washing machine and allow it to progress through the entire cycle. Remove the clothes and dry them as you desire.